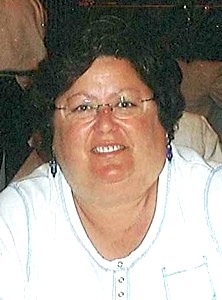 Denise Howell, 54, of Olathe, Kansas, passed away peacefully Monday morning, October 19, 2015, due to a respiratory attack on Saturday morning. She graduated from Olathe High School, Emporia State University and received her master’s degree. Denise was an educator for 36 years and enjoyed all of her students. She began her teaching career in Gardner, Kansas, and then moved to the Olathe School District where she taught 6th grade students for 32 years. She made many lifelong friends at Central Elementary, Pleasant Ridge Elementary and California Trail Middle School. Denise loved to have a good time with her family and friends. Fortunately, she was able to visit with many people on Friday night for her niece’s wedding celebration. Many people have said their best memory of Denise was her smile. Denise adored her family and they were able to spend many wonderful vacations together in Cabo San Lucas, Mexico and at the family cabin in Ridgway, Colorado. Family meant everything to Denise and she treated her nieces, nephew and great-nephew as her own children. She leaves behind her parents, Tom and Sandy Howell, of Olathe, KS, her sister, Desiree George and her husband, Frank, of Olathe, KS, her two nieces, Rachelle Lambourne and her husband, Doug, of Denver, CO and Amanda Vandewynkle and her husband, Justin, of Olathe, KS, her nephew, Kyle George, and his girlfriend, Sydnie Lind, both of Olathe, KS, her great-nephew, Cameron Vandewynkle, of Olathe, KS, and close cousin Morgan Howell, of Kansas City, MO. Denise also leaves behind many friends, including her best friend of 30+ years, Evelyn Cheshire, of Overland Park, KS. She was a member of the Olathe Junior Service League for 23 years and most recently the Women’s Giving Circle. Most of her free time was spent helping her students and attending her nieces and nephews activities. Denise loved animals, especially her two dogs, Scout and Brooke. A Celebration of Life will be held on Sunday, November 8, from 2:00 to 4:00 pm at the home of Frank and Desiree George, 1023 S. Cedar Hills Dr., Olathe, KS. In tribute to Denise’s compassion for her students, any donations may be given in her name to The Wimmer Student Care Fund which supports Olathe’s most vulnerable students, keeping them in school, ready to learn. Donations can be sent to: The Wimmer Student Care Fund, c/o The Olathe Public Schools Foundation, 315 N. Lindenwood St., Olathe, KS 66062 or online at www.olathepublicschoolsfoundation.org.